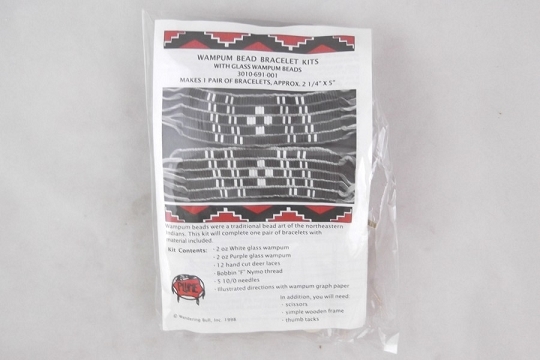 Wampum beads were a traditional bead art of the northeastern Indians. This kit will complete one pair of bracelets with the material included in the kit. This is a great kit for making a lovely and unique bracelet. 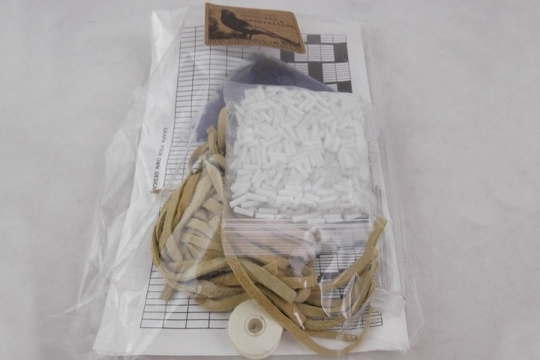 This kit is not Native American Indian produced, a Native American Indian product or the product of a particular Native American Indian, Native American Indian Tribe or Native American Indian Arts and Crafts Organization.